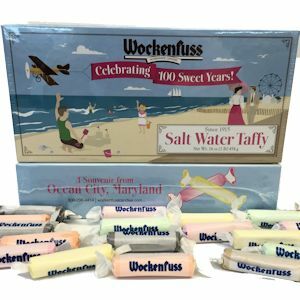 Just like at the beach – an assortment of delicious flavors of chewy taffy. Only the finest and freshest ingredients are used in making this popular beach treat. The long pieces have a seemingly endless pull. There are approximately 45 pieces per pound.